Metalships and Docks Shipyard has built a freezer trawler for the Greenlandic Shipowner, based in Nuuk, Niisa Trawl Aps. The vessel built in steel with 15 tones aluminum superstructure has specialized designed to navigate the cold waters of Greenland. The C. 298, called REGINA C, has a length of 80 m and a beam of 17 m. Its base of operations will take place in the Barents Sea where it will dedicate to the fishing of shrimp and other species as well as their process. For this, the vessel has a processing plant equipped with the most modern and automated machinery on the market, large warehouses in which to store the catches until arrival in port and an interior rating to accommodate 32 crew members. This aluminum superstructure weights 15 tonnes and forms by a single deck with a wheelhouse and mast. 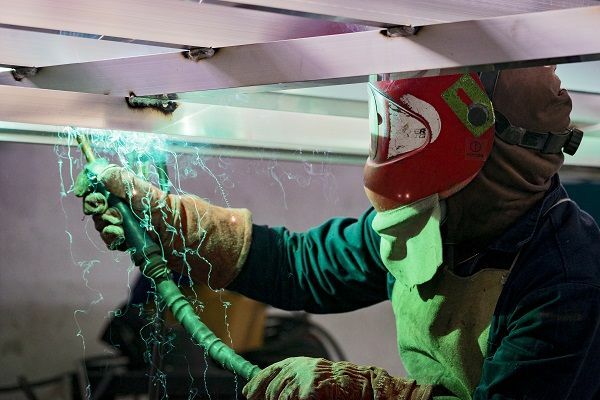 The superstructure of this freezer trawler makes of marine aluminum alloy sheet EN AW 5083 H116, a typical type of aluminum used in this vessel part. 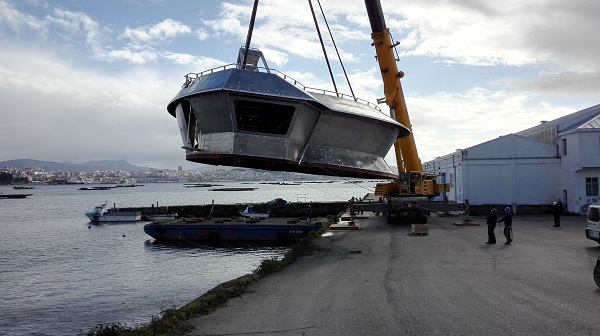 AISTER has waterfront facilities, direct access to the sea so we could send the aluminum superstructure by the sea in a single block to the shipyard Metalships and Docks. In addition to the aluminum superstructure, in AISTER we also have made the works of ship supply of all the mooring elements installed on board the vessel REGINA C. Among there are bits, guides, etc. Located in Moaña, AISTER is a company that has worked for sea workers for 30 years. The workshop staff approved by Bureau Veritas and DNV Classification Societies and the company has an integrated system of quality, prevention of occupational risks and environment which makes its products highly competitive and recognized both in the national and international market since the company has carried out works around 32 countries. About aluminum superstructures, recently AISTER has manufactured a wheelhouse for another freezer trawler of similar dimensions of REGINA C for the shipyard C.N.P. Freire. Related news: FARO DE VIGO, REVISTA INGENIERÍA NAVAL, ASIME.